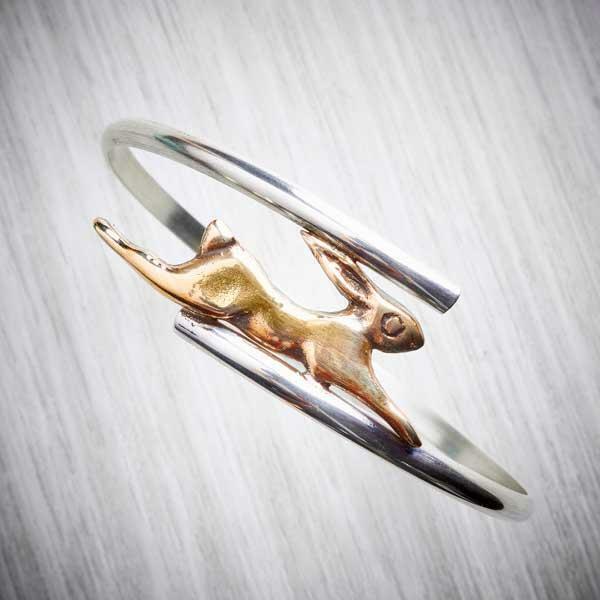 A bronze hare bounces over your wrist on this solid silver bangle. 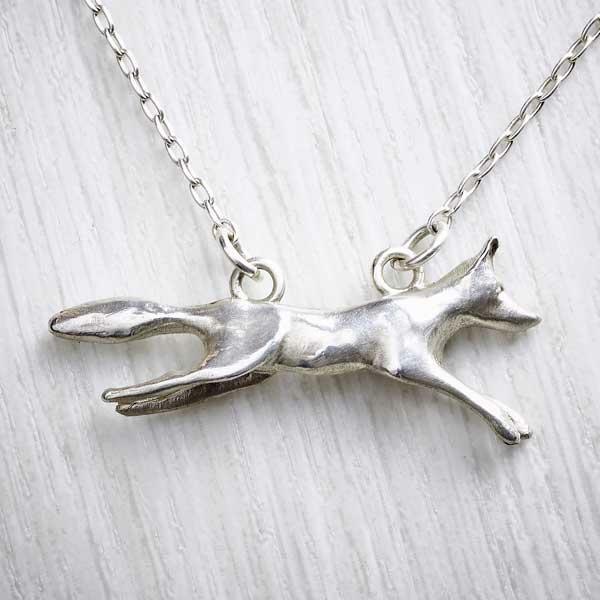 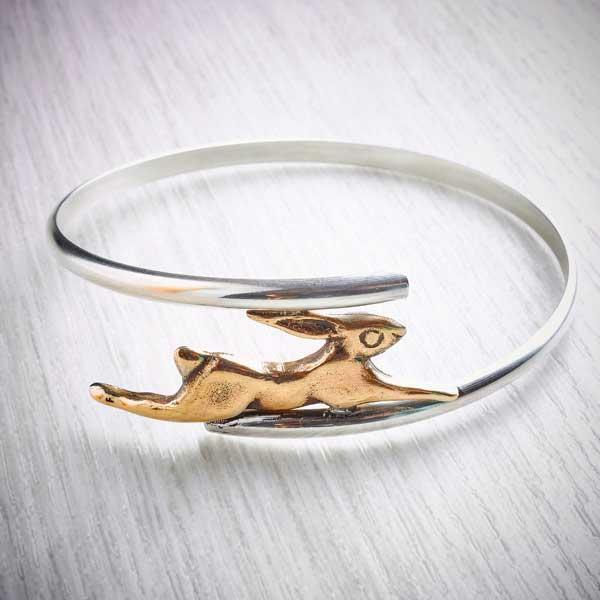 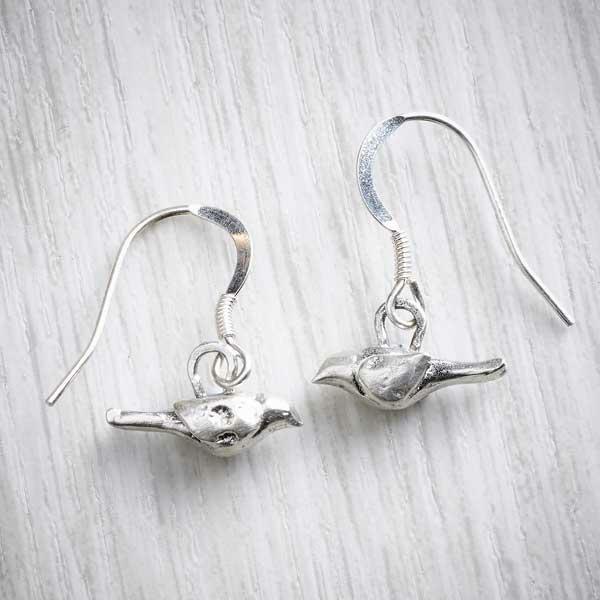 This cheerful, fun piece of jewellery features a cheeky March hare who is running full tilt across a silver bangle. 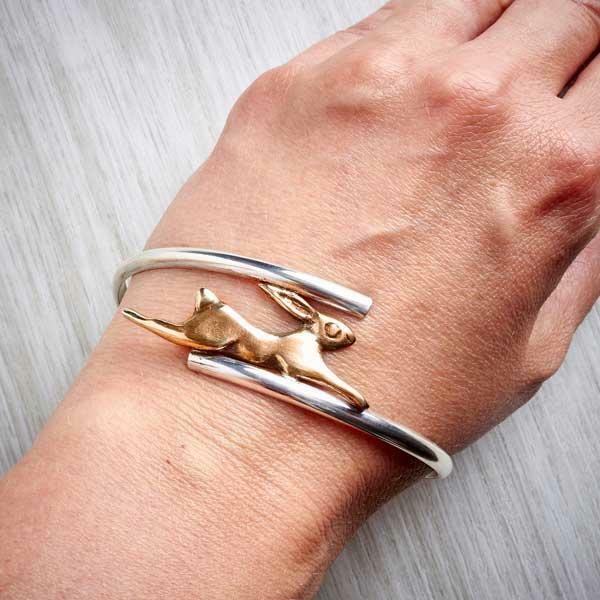 The hare is bronze and the colour contrasts with the silver bangle beautifully. 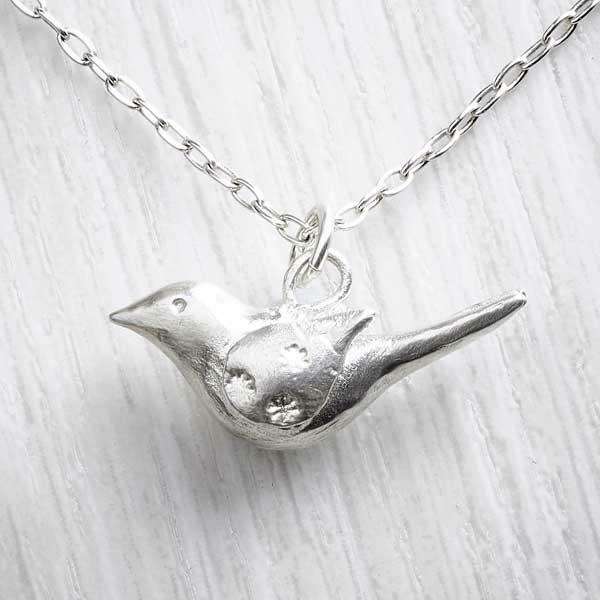 This is a bold statement piece which will make you smile every time you wear it. 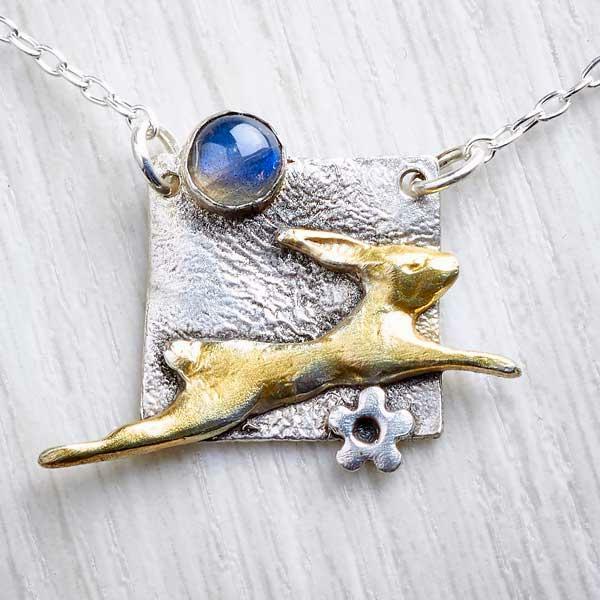 The bronze hare is approximately 4cm across.